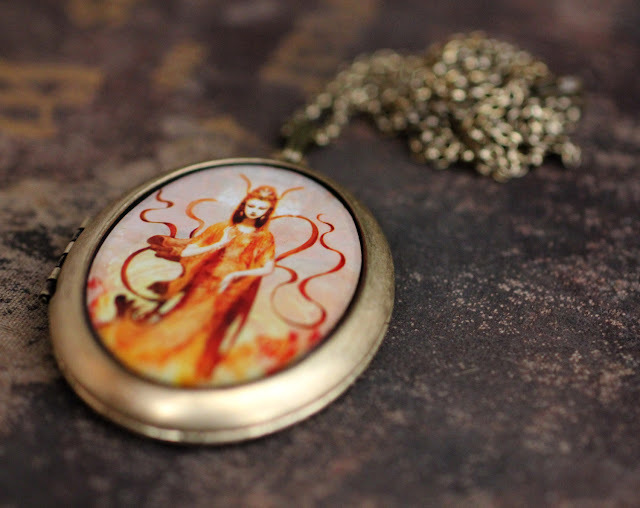 As a special request large oval lockets were created with an illumination of GreenWitch and Gregs Bee Quan Yin. Only two of each were made to test the waters to see if there is interest in these pieces. One of each of these is currently for sale, or was when I wrote this. More are available upon special request. 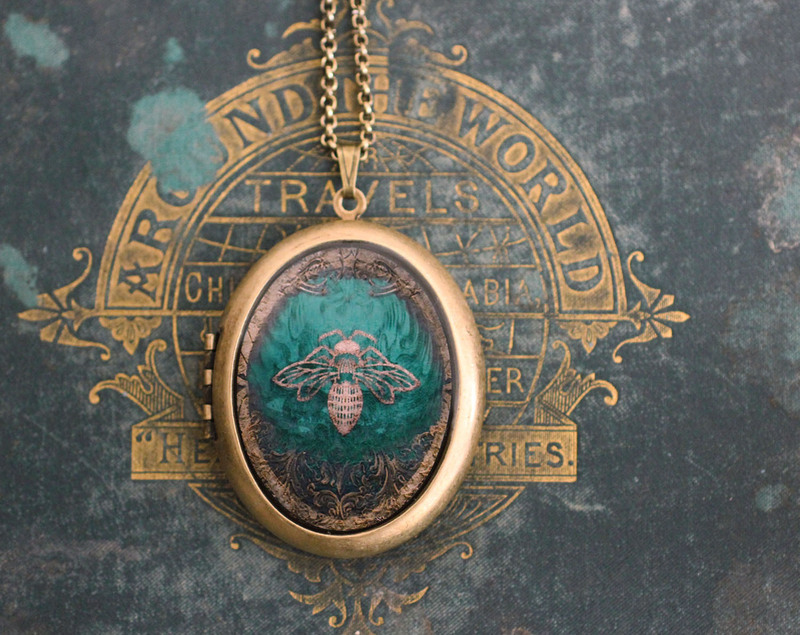 Large oval emerald green bee lockets (pictured above) have been created and listed in the E-shop they are scheduled to arrive this week. If you desire a specific illuminated image that Greg or I have created placed in a large oval locket please let me know and we can have it made for you. I'm thinking the original Vespertina image or the white honey comb picture might look real fine. New lockets and perfume cases will be debuting soon. The first batch is a very limited edition with more arriving after the holidays. Since both Greg and I ship items out of the studio, we can combine shipping by giving us a heads up. So exciting. Is there ever a chance that your bee image, from the jewelry, would be on a solid perfum compact? Maybe in the mean time, you may put the bee image that is on the new tins on the glass jars, if they too have tin lids? I will just have to wait and see. The suspense! Thanks for blending beauty with more beauty! Jennifer, indeed, a honey bee compact will be available in three different jewel tones in just a few days. Wee, I can't wait to share them! !